Camping Village Resort & Spa Le Vieux Port is een groots opgezette camping dicht bij het dorpje Messanges in het Franse departement Landes. Op de camping is een ruim aanbod aan diverse accommodaties. Ook wordt er veel animatie voor alle leeftijden aangeboden. Het ligt midden in een pijnbomenbos direct aan de Atlantische kust en op zo’n anderhalf uur rijden van Spanje. De camping ligt ietsje onder het kustplaatsje in een groene omgeving. Dat de vijfsterrencamping groots van opzet is, wordt al duidelijk wanneer je het campingterrein op komt rijden. Na het grote parkeerterrein en de gloednieuwe Arena du Vieux Port (een theater, muziektempel, discotheek en eetgelegenheid) bereik je de terrasjes en winkeltjes van de camping. De keuze in accommodaties op de camping is ontzettend ruim. Van tweepersoonsluxetenten en huifkarren tot ecologisch verantwoorde bungalows en tropische mobile homes; kies precies de accommodatie die jij wilt. Liever in een tentje kamperen? Tussen de hoge pijnbomen is een zee van ruimte. Op de camping is voor ieder wel wat wils. Of je nu in alle rust wilt genieten van de natuur of de gezelligheid van de camping op wilt zoeken, een stel fietsfanaten bent of met je jonge kinderen naar het strand trekt, je bent welkom op Village Resort & Spa Le Vieux Port. De camping beschikt over een waar zwemparadijs. Dit extravagante watercomplex bestaat uit vier zwembaden (waarvan eentje overdekt), een peuterbad, bubbelbaden en snelle glijbanen (voor groot en klein). Rondom de zwembaden is veel plaats om te zonnen, op een ligstoel of een handdoek. Alsof dat nog niet genoeg is: de camping ligt direct aan strand. Vanuit de camping kun je dus ook zo een duik nemen in de Atlantische Oceaan, enkele golven pakken met je surfboard of de mooiste zandkastelen bouwen op het strand. Animatie is er voor alle leeftijden. De kleintjes kunnen zich vermaken tijdens knutselmiddagen, optredens en waterspelletjes, voor jongeren worden er onder meer watershows en sporttoernooien georganiseerd, en volwassenen werken zich in het zweet tijdens groepsfitness. In de avond kun je onder andere cabaretshows, dansvoorstellingen en goochelacts zien. Op de camping zijn genoeg mogelijkheden tot sporten: sla bijvoorbeeld een balletje op een van de tennisbanen of neem je skateboard onder je arm en vertrek richting de skatebaan. Liever relaxen? In het wellnesscenter kom je tot rust in de hammam, sauna, jacuzzi of op de massagetafel. Niet letterlijk natuurlijk: een van de zwembaden van het zwemparadijs op de camping is omhuld door een boot. Met in het midden een eilandje met mast. Een heel ingenieus en speels zwembad. Campsite pitch with electricity (European standards plugs) , maximum 6 persons/pitch. A 120m2 campsite pitch bounded by hedges, with electricity (European standards plugs), and linked to the sewage network, maximum 6 persons/pitch. A 120m2 campsite pitch bounded by hedges, equipped with private bathrooms. With electricity (European standards plugs) , maximum 6 persons/pitch.Private bathroom with heater including WC, dishwasher, fridge, sink, shower, hair dryer. The Lodge Tribu is an accommodation with 5 rooms with a maximum capacity of 14 people. It is synonymous with comfort and privacy. They can come with friends or with the family and enjoy the great space for privacy. It is made for 10/14 people, with 75m² + 40m² covered terrace, you can enjoy two double rooms with a 140x190 bed with full bathroom, and two rooms, each with a bed of 80x190 and separate bathroom, and another room with bunk beds 80x190. The whole is separated by a living room equipped with an ultra modern fitted kitchen. The semi-covered terrace will captivate you with its original and modern look! In addition, there is space to park 3 cars in the same location. The extras of this accommodation: jacuzzi, iron, air conditioning, terrace with mobile canvas, 2 fully equipped kitchens, 4 bathrooms, and 4 toilets. You want the very best? This rental is our very best!! These Lodges are made for 6/8 people, with 39m2. There is a parental suite with one bedroom (1 double bed 160x200) and bathroom with toilet. There are also two bedrooms with 4 single beds 80x190 and a bathroom with separate toilet. There is also a magnificent living room, modern and practical with an equipped corner kitchen (with dishwasher and air conditioning), a convertible sofa 140x190. There is also a raised terrace with wooden table and benches and a pretty sunshade.You will have the use of 2 sun beds. A place for your car is included in the price of your pitch.This Mobil-Home range includes two types of accommodation. This new 33m2 mobile home for 4/6 people is unique thanks to the magnificent solarium on the roof!! In the middle of our magnificent pine grove, relax on this solarium terrace or enjoy the raised terrace in front of your lodgings with wooden table and benches and a jolly sun shade! The interior is perfectly designed with a modern sitting room and very well equipped with a fully-equipped corner kitchen with dishwasher and air conditioning, a bathroom with separate WC. Not forgetting its two bedrooms (with one bed 160x200 and 2 beds 80x190) and convertible sofa 140x190. You will have the use of 2 sun beds. This 36m2 4/6 person rental will captivate you with its design and originality. The major asset is the magnificent raised covered terrace with a significant size, wooden table and benches and a pretty sunshade!! The magnificent living room offers you a fully-equipped corner kitchen with dishwasher, oven and air conditioning as well as a convertible sofa 140x190. The parental suite consists of a bedroom with a double bed 160x200 and bathroom with toilet. There is also a second bedroom with 2 single beds 80x190 and a hideaway bed 70x190 with a second bathroom with toilet. You will have the use of 2 sun beds. This accommodation for 2 people of 25m² will seduce you with its design and its originality. The most important thing is the magnificent covered terrace with a wide surface with its table and its wooden benches and its small canvas to give shade! The magnificent accommodation will offer you a kitchen equipped with dishwasher, oven and air conditioning, as well as a 140x190cm sofa-bed. The double room is composed of a 160x190 bed and a bathroom. You can also enjoy two hammocks. Everyone dreams about spending a holiday with friends or family, so why not try it? This spacious rental of about 39m² sleeps 8 persons, offering 2 master bedrooms with a double bed (140 x 190 cm). 4 single beds can be found in the two other bedrooms, ideal for children to relax after a busy day. The equipped kitchen has all you need to cook some delicious meals to share around the table. This mobile home also counts a bathroom and separate toilet. Outside, the plancha grill brings festive moments. The two deckchairs are included in the price of the rent, for some great tanning. There’s a lot of you coming but you enjoy comfort and privacy? Discover our magnificent mobile home Resasol with its 3 bedrooms and two bathrooms for 6/8 people with 39m2!! Enjoy the pretty parental suite with a bedroom equipped with a double bed 140x190 and bathroom with toilet. Next to the second bathroom with separate WC, there are two more bedrooms with 2 single beds 80x190, one of the beds in one of the bedrooms is a hideaway. The corner kitchen is equipped with a dishwasher. The beautiful raised terrace with wooden table and benches will allow you to pass some friendly moments! You will have the use of 2 sun beds. This mobile home surfaces 34m² including a covered terrace of 18m² and sleeps 6 to 8 persons. The rental offers a master bedroom (bed of 140 x 190 cm), a bedroom with 2 single beds (70 x 190 cm) as well as a bedroom with a single bed and one pullout bed. The sofa bed of 130 cm x 190 cm in the lounge area sleeps two extra persons. The mobile home has a bathroom, separate toilet and fully equipped kitchen with fridge, sink, microwave, coffee machine, toaster and all you need to prepare delicious meals and feel like home! The terrace offers a plancha grill. This mobilhome is synonymous with comfort and intimacy. Are you coming with family or friends but don’t want to be on top of each other? No problem, this rental is made for you. For 4/6 people, with approx. 29m² +4m², you will enjoy a parental suite with a bedroom equipped with a bed 140x190. bathroom and toilet and a second bedroom with two beds 70x190 (one hideaway) which also has a bathroom with separate toilet. They are separated by a living room equipped with an ultra-modern corner kitchen. The semi-covered terrace will please with its original and modern appearance!You will have the use of 2 sun beds. Holidays for lovers next to the beach, does that appeal? It’s easy with the RESASOL 1 mobile home specially designed for couples! This rental has a rare feature, one bedroom with a double bed 140x190. But, are there more people that want to come along? This is also possible with the couch that converts into a 130x190 double bed. This new rental with its modern and cosy look, designed for 2/4 people, offers you 17m² of space. Full-comfort, enjoy a bathroom with toilet, a corner kitchen and a ground-level terrace with wooden table and benches. You will have the use of 2 sun beds. This modern and spacious 4/6 person lodgings of approx. 34m² has been designed for people with reduced mobility. As you can see on the plan, nothing has been left to chance! Inside fixtures with the bedrooms (one bedroom with 2 beds 90x190 and one bedroom with 1 bed 80x190 and a bunk bed 70x190 and a convertible sofa 130x190), bathroom with toilet, equipped kitchen to the outside equipment with a magnificent raised terrace 6x2.5m with integrated guardrails and ramp, the holiday will be your only concern! The outside wooden table and benches will not clash with the green environment! You will have the use of 2 sun beds. Enjoy a holiday by staying one of these basic and functional mobile homes, offering all you need! This rental of about 24m² with two bedrooms sleeps 4 to 6 persons and is perfect for a family holiday. The mobile home has one bedroom with a double bed of 140 x 190 cm and one bedroom with 2 single beds of 70x190 cm. The sofabed sleeps two extra persons. You can also make use of a bathroom with separate toilet, an equipped kitchen and not to forget; a terrace with 2 sunbeds. This rental surfaces 27m² and is suitable for 4 to 5 persons. The cottage counts two bedrooms; one master bedroom with a double bed and a bedroom with bunk beds (2 x 70 x 190 cm) and a single bed of 70 x 190cm. For a comfortable stay, you can make use of a bathroom with separate toilet, as well as an equipped kitchen. The covered terrace has a table and wooden benches, to enjoy the lovely climate or to relax in the shade. The two deckchairs are included in the price of the rent, ideal for tanning in front of your cottage. Do you have a large family? Or a lot of friends? This pretty chalet is made for 8 people with an area of 45m2 minimum ,and 3 bedrooms (with two double beds 140x190, two single beds (one hideaway) 80x180). The kitchen corner is fully equipped with a dishwasher. Discover the pretty bathroom with separate WC. Enjoy the pitch thanks to the beautiful covered terrace and its numerous advantages: cook-top! Wooden table and benches! Full-height wooden table!You will have the use of 2 sun beds. This lodging offers unequalled holidays for 6 people with an area of 35m2 and 3 bedrooms (with two double beds 140x190, two bunk beds 80x185). The kitchen corner is fully equipped with a dishwasher. Discover the pretty bathroom with separate WC. Enjoy the pitch thanks to the beautiful semi-covered ground-level terrace and its numerous advantages: cook-top! Grass hut! Wooden table and benches! Full-height wooden table!You will have the use of 2 sun beds. This chalet, entirely refurbished is made for 4/5 people with an area of 28m2 and two bedrooms (with a double bed 140x190, two bunk beds 80x185 and a single bed 75x185). The kitchen corner is fully equipped with a dishwasher. Discover the pretty bathroom with separate WC. Enjoy the pitch thanks to the beautiful semi-covered ground-level terrace and its numerous advantages: cook-top! Grass hut! Wooden table and benches! Full-height wooden table! You will have the use of 2 sun beds. This charming Bungalow has a nice design and tariff; it is our best priced rental! This accommodation surfaces about 21m², offers two bedrooms and sleeps 4 to 5 persons. The master bedroom is equipped with a double bed of 140 x 190 cm. The second bedroom has 3 single beds of 70 x 190 cm (2 bunk beds and 1 pullout bed). There is no water or sanitary. For toilets and showers you can make use of the campsite facilities. The canvas part has an equipped kitchen, a table and wooden benches. The fully covered terrace can be zipped to close and has two windows. The Ecoluxe store proposes a new camping trend in XXL version. This luxury shop will seduce you by its dimensions, its original look in the midst of nature, its equipment and its great comfort. Its area of 49m² (49 m² of enclosed space + 16 m² of covered terrace) offers the terrace and makes it the largest accommodation in the campsite. It has 3 bedrooms (2 double beds of 160x190 and two bunk beds of 80x190). This shop is equipped with all comfort, bathroom, separate toilet, fully equipped kitchen (induction hob with 2 gas burners, sink with a bathtub, refrigerator, freezer, microwave, coffee maker, toaster ...). Its large terrace covered with sun will make you appreciate the paradisiacal setting of the campsite. They can also enjoy 2 sunbeds. Lovers of the new glamping trend? Live the camping adventure, but in a brand new full-comfort tent. The Eco Lodge tent will please the whole family with its originality, its cosiness and its authenticity. This 21m² tent (with a covered terrace and 2 deck chairs) can house a 4-5 person family. It consists of a parents’ bedroom (140x190 bed) and two bedrooms with 2 bunk beds (70x190) and 1 single bed (hideaway bed 70x190). This tent is equipped with a sink (with hot water) and a bathroom with shower, hand basin and separate WC. The tent does not have heating. In the main room you will find a fully equipped corner kitchen (counter-top refrigerator, sink, microwave, electric coffee pot, toaster...), a table and wooden benches. You dream of unusual camping, choose Glamping, real camping holidays. The all new Eco Tent is made for you! A modern, comfortable and original tent! No need to load up your car with equipment, no need to worry about putting up the tent when you arrive... the Eco Tent, a practical, economical and recreational solution. This 17m² tent (with a covered terrace and 2 deck chairs) can house a 4-person family. It consists of a parents’ bedroom (140x190 bed) with storage cupboard and a second bedroom (2 70x190 bunk beds). This tent is equipped with a corner kitchen. The tent does not have heating, water or sanitary facilities. In the main room you will find a fully equipped corner kitchen (counter-top refrigerator, microwave, electric coffee pot, toaster...), a table and wooden benches. The Duo Tent will please you with its simplicity and authenticity. You will be as close to nature as possible with the comfort of an equipped tent. This 7m² tent (covered terrace with 2 deck chairs) can house 2 people. It consists of 1 bedroom equipped with 1 140x190 bed and a storage cupboard. The tent does not have heating, water or sanitary facilities. Do you want an unusual holiday in a non-typical rental? The all-new Western Tent will captivate you with its “waggon” shape, its half wood, half canvas structure and its “ranch” door. This 21m² tent (+ a ground-level terrace of 11m2 with 2 deck chairs) can house a 4-person family. It consists of a parents’ room (with 140x190 bed) and a main room equipped with 2 cabins for the children (2 70x190 beds). This tent is equipped with a sink (with hot water) and a separate WC. The tent does not have heating. In the main room you will find a fully equipped corner kitchen (counter-top refrigerator, sink, microwave, electric coffee pot, toaster...), a table and wooden benches. This half canvas, half wooden cabin sleeps 4 to 5 persons. It surfaces 31m², including 10m² covered terrace. Inside, you’ll find two bedrooms; one master bedroom with a bed of 140 x 190cm and one bedroom with two single beds of 70 x 190cm + 1 pullout bed. For a comfortable stay, you can make use of a bathroom and separate toilet, as well as an equipped kitchen with cooking plate, two gas burners, a sink, a fridge and freezer, a microwave, etc. "Zeer ruim opgezette camping maar toch rustig omdat veel faciliteiten zich bij de receptie bevinden. U staat in een pijnbomenbos dat verdeeld is in kleurenzones met elk eigen sanitaire installatie. Groot zwemparadijs met verwarmd zwembad en glijbanen." Voor de personen die een bungalow willen huren s dit een mooie camping. Voor de kampeerder is het dat niet. Wij stonden er in volle seizoen met onze vouwwagen tussen de chalets. Alsof we onze tent hadden opgesteld in de stad naast hoge gebouwen. Mooi zwembad, schitterende omgeving maar voor ons nooit meer deze dure camping die geen camping is maar een bungalow-dorp. Massale camping. Geen speeltuintjes bij de plekken, alleen voorin waar kinderen alleen onder toezicht van een volwassene mogen spelen. Zwembad is mooi, maar geen bedje vrij als je na 10 uur komt. Animatie alleen in het frans. Plekken hutje mutje, dus geen privacy. Sanitair erg vies! Je ziet overal verveelde kinderen, omdat er geen ruimte is om te spelen. Ik snap niet dat deze camping 5 sterren heeft en is dat absoluut niet waard. Ik heb mooiere 2 sterren campings gezien. D652 Léon - Vieux-Boucau, 1 km ten noorden van Vieux-Boucau. Goed aangegeven. 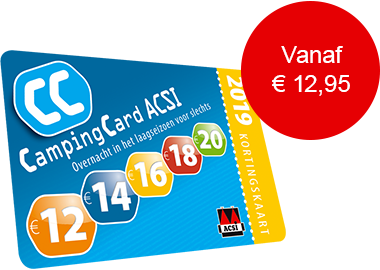 ACSI Eurocampings stuurt uw informatieaanvraag door naar "Camp. Village Resort & Spa Le Vieux Port".